I’m not going to pretend that I would ever wear this dress. I do admire it though. 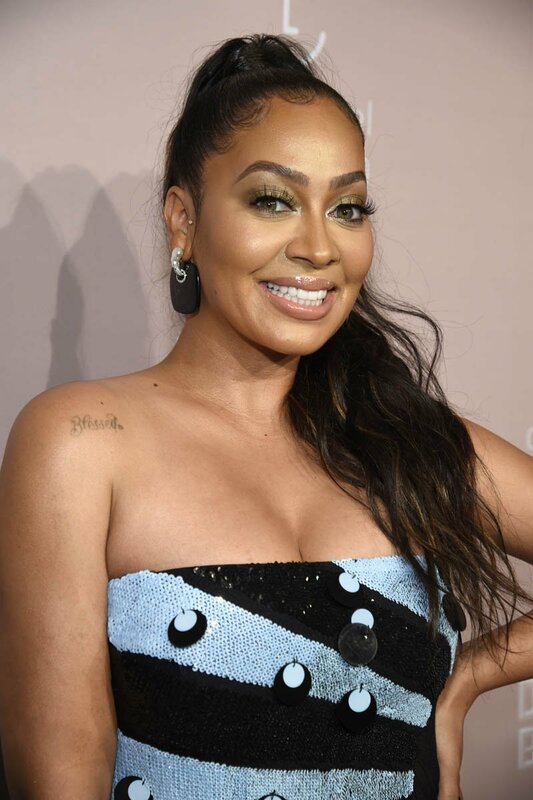 And I love it on La La Anthony. Also I love the name La La and I wish I could have nicknamed myself La La because the letters “L” and “A” do appear next to each other in my name, “Elaine”, but yes, I know this is a stretch, don’t @ me, I get it. So it’s a strapless sequined gown. No big. Except this is a great colour combination! What would you call the blue? An ice blue? Twee blue on its own. With black though, in a swirling stripe that gathers to a point on one waist, it’s so striking and fresh. I don’t even mind extra large sequins that are placed along primarily one side of the dress because it kinda adds some balance to the direction of the pattern without making the whole thing too busy. Sometimes a dress can surprise you and work better in execution than it does on paper, elevated by the person. This is one of those dresses.